I have had it up to here with all this UFOsplaining. 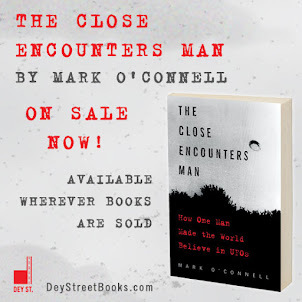 And so it came as a welcome relief when I sat down today to listen to an interview with one of the few UFO grown-ups in the world, a man who can talk clearly and intelligently about UFOs like no-one else. 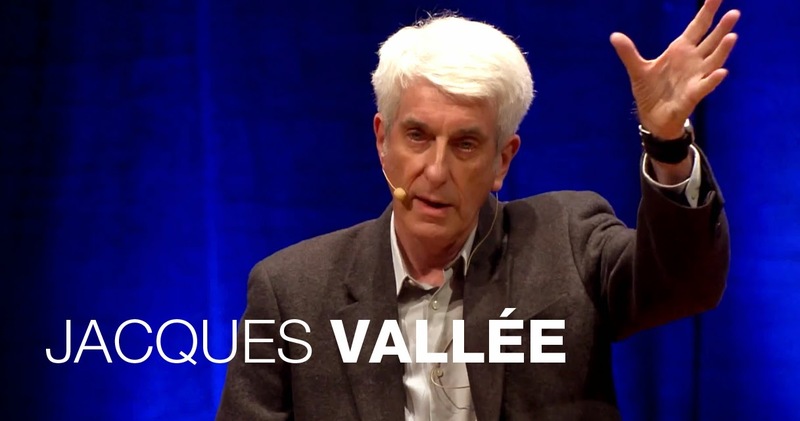 That man is Dr. Jacques Vallee, who was interviewed a few nights ago on Coast to Coast AM by host George Knapp, and who said more interesting things about UFOs in his two hours on the air than most of us will say in a lifetime. The interview was of special interest to me because of Vallee's close relationship with Dr. J. Allen Hynek, and because he rarely talks publicly about UFOs these days. He's speaking now because three of his classic UFO books, "Passport to Magonia," "The Invisible College," and "Messengers of Deception," have just been reissued, and that's good news for all of us. "Flying saucer" is not a new term at all: about 700 years ago, Japan was plagued with "flying earthenware"! In the creep me out department, West Virginia's famous Mothman bears some striking similarities to the historical figures of terror Springheel Jack and the Skinwalkers. The Invisible College has returned! A group of scientists around the world has spent the last 12 years very quietly studying the historical aspects of the UFO phenomenon. He was dismissive of the Disclosure movement, asking "Tell me again what it is we're going to be disclosing?" On the state of UFO research in general, he said, "I think there's a big misconception that when you have a lot of data, you have knowledge." "It is as if the phenomenon can manipulate space, time, and the thoughts of people." "Every culture has a tradition of people who can do magical things." "We have to face the fact that whatever the phenomenon is, it has access to a greater knowledge of reality, a greater knowledge of the universe, than we do." "If we can contribute to helping science build a model of reality, of physical reality, we will have done a good job, even if we don't solve the UFO problem within our lifetimes." "It doesn't have a beginning..."
Springheel Jack and the Skinwalkers: good name for a band. Nice! You should copyright that. I never really got the cult of JV thing. He seems just like any other "UFO" conspiracy nut to me. He speculates a lot about "the phenomenon" when he can't even show that there is a phenomenon. His whole "anything could be true" act is that of a slippery trickster. And that last quote about "helping science build a model of reality" is a hoot. The "UFO" myth and delusion has not advanced in over sixty years and will never contribute anything to the world--much less help build "a model of reality," whatever that's supposed to mean. We all live in the one and only model of reality there is, it's called, amazingly enough, "reality." What did you really learn from all this vague talk? Vallee at least makes clear that the evidence collected thus far falls FAR FAR short of scientific value. That scientists are studying the history of the "phenomena" is interesting. 12 years, huh? Can we expect a paper in the next 20? Vallee's other conclusions are essentially outs to cover for the lack of compelling evidence. It's exactly the same as the Magic Dragon analogy that Sagan created. "I have a Magic Dragon"
"Oh really, can I see him?" "Sure but he is invisible!" "Hmmm...maybe we can weight him?" "Great, but he is weightless"
"Surely, I can touch him?" Wow, I can't believe what was said about JV. 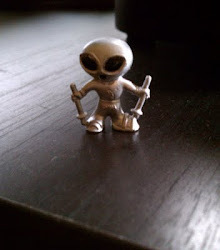 He is one of the few ufo researchers I respect. The man is an actual scientist who has brought careful research. & a lot of skepticism to the ufo topic.